McClellan Clan: It's a Boy! 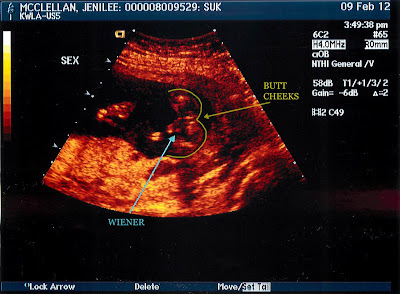 Jeni had an appointment with the ultrasound technician for one hour today. The midwife wanted the baby measured to verify the due date. Jeni deliberately gave dates that were a week off to avoid inducement threats at the very end but the ultrasound doesn't lie. We went from the fictitious July 16 due date to the actual July 8 due date, then today the baby measures along a July 4 due date. That's what you get for lying Jeni. We found out that we're having a boy! A little Evan Christopher; I've been saving my Legos for him since I was a boy. 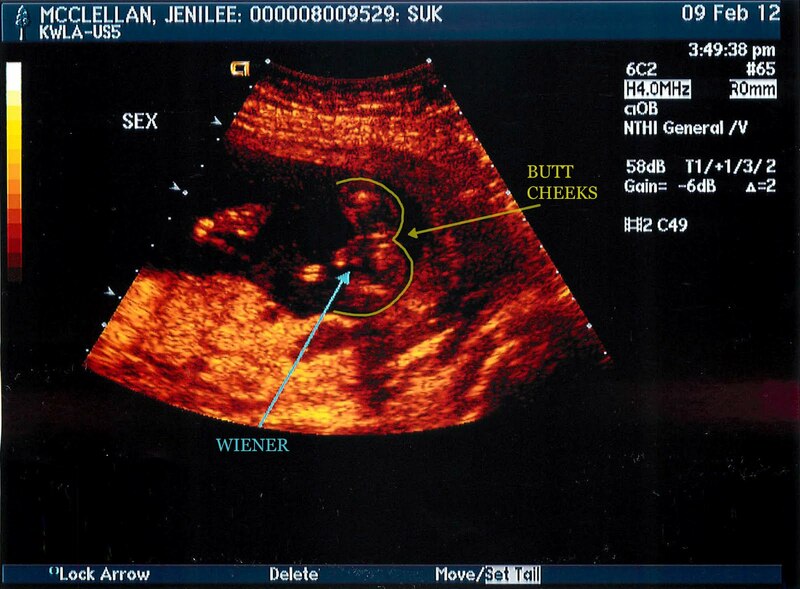 Jeni didn't know what was in the ultrasound picture so I labeled it for her (sorry Evan! ).